National talk in an elevator day – Face forward. Look up. No talking. Home / Blog / National talk in an elevator day – Face forward. Look up. No talking. You know the drill. You walk into an elevator and make brief eye contact with the other passengers in the box, before staking out your personal space and facing forward for the journey upwards. The rules of the elevator are simple. Rule 1: No talking. Rule 2: The person closest to the buttons has the responsibility of minimizing the amount of time from door open to door close by rapidly pressing the buttons on behalf of the other passengers in the tube. Since you were a kid you likely learned the rules of the elevator and they’ve stuck with you all of these years. Well we’re about to shake things up a bit because today is talk in an elevator day. Oh yes. Today is the day where you are required to talk to your fellow passengers as you ascend the floors to your final destination (yes you probably should have taken the stairs). And what better topic to discuss with your new compatriots than animal rescue. This is your moment to shine. Not sure what to discuss exactly? Be sure to check out this post for WHAT TO DISCUSS IN AN ELEVATOR ABOUT ANIMAL RESCUE to get some ideas on topics that you can bring up in 30 seconds or less. So even if you think you have nothing to talk about, we’ve given you the tools to make an impact in a short amount of time. You’ve been practicing your elevator speeches after all haven’t you? 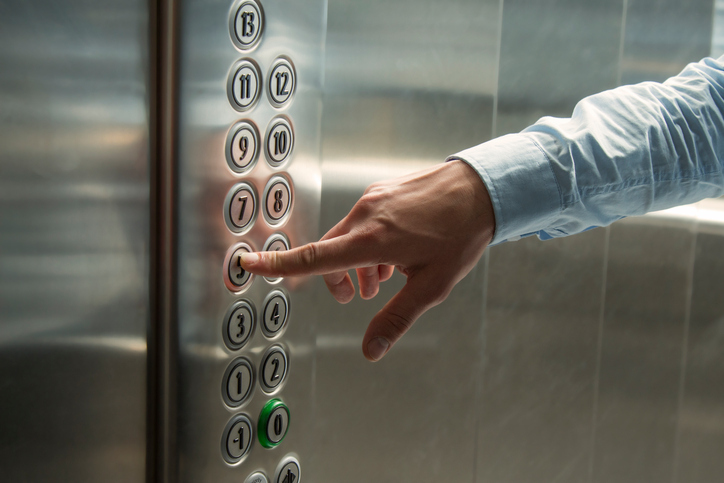 Not to worry if you have public speaking anxiety because there’s no microphone and nobody is going to boo you in an elevator and if nothing else you can break the ice by letting them all know today is national talk in an elevator day. So go on and break that uncomfortable silence. Face the opposite direction from the door and engage your fellow passengers in a dialog about how they can get involved in helping save animals. You never know, you just might find a new foster home or rescue relay transport volunteer. Every volunteer counts after all.